Sure it is not the appearance that matters most, but the attitude. However, there is no harm in making yourself look good, especially if you want to impress your friends. 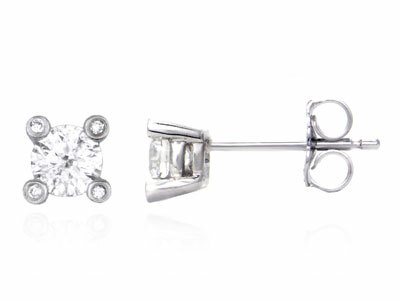 These elegant earrings look very appealing especially because of the diamonds on it. Furthermore, the polished white gold gives an impressive look too. These earrings are stylish and its simplicity will bring out your personalities more.